A Moonwatch nod to 1970s manga superheroes. 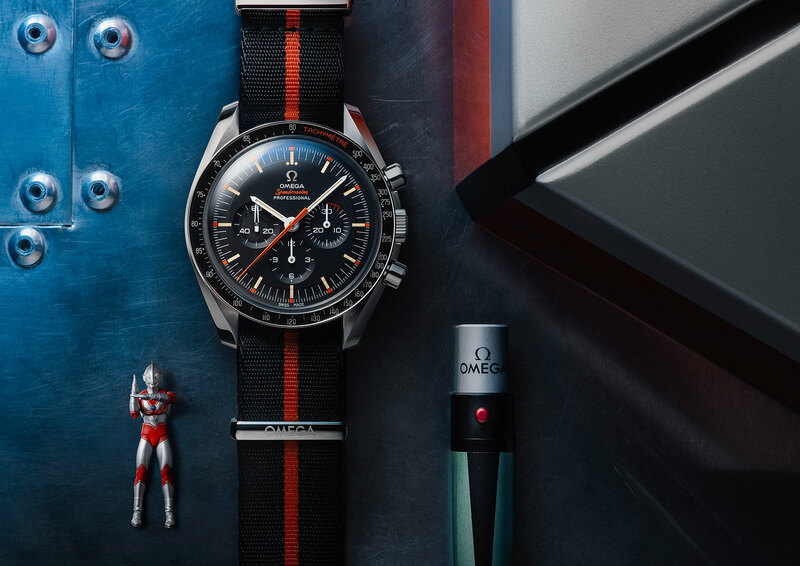 Following the smash hit Speedy Tuesday limited edition launched last year, Omega has unsurprisingly done it again with the Speedmaster Limited Edition 42 mm “Ultraman”. 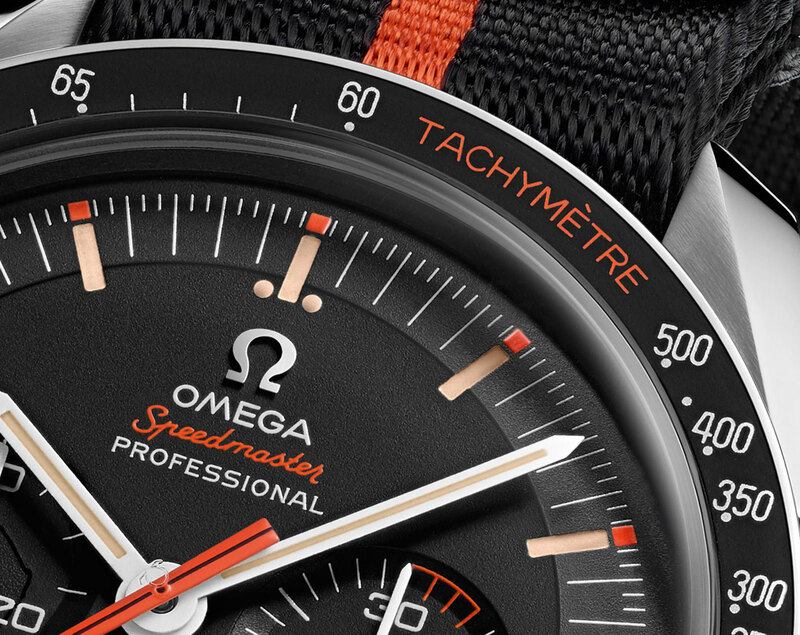 This time the Speedy Tuesday is modelled on the Speedmaster Professional “Ultraman” ref. ST 145.012 of 1968, a watch that gets its nickname from its appearance in the 1971 television series The Return of Ultraman. 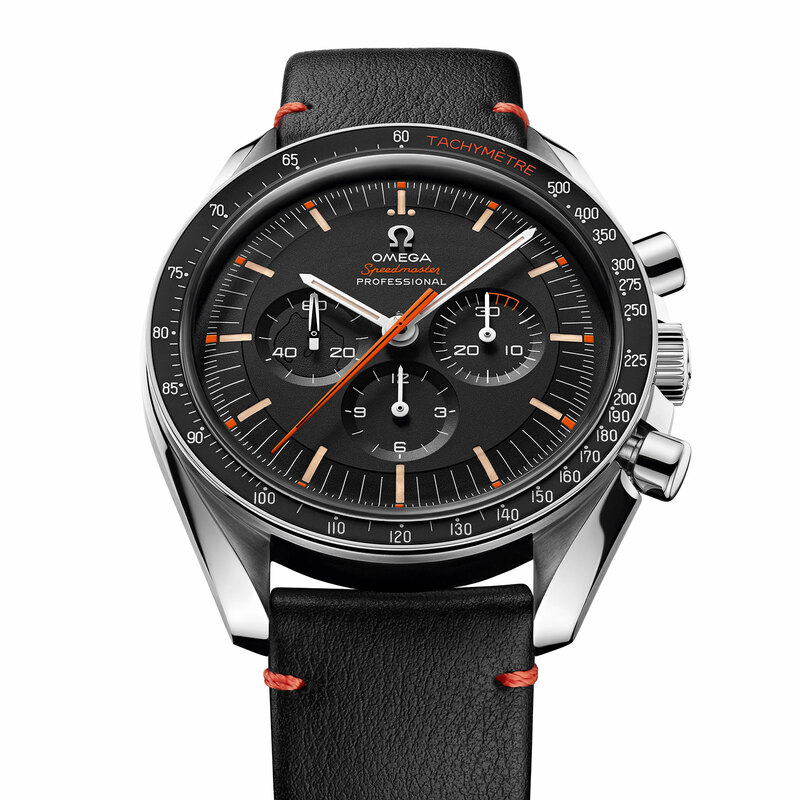 While the original “Ultraman” Speedy was essentially a stock model with an orange central seconds hand (albeit a hand with specific dimensions not shared by other Speedmaster hands) and case serial numbers within a fixed range, the modern day remake adds a few special tweaks to the mix. 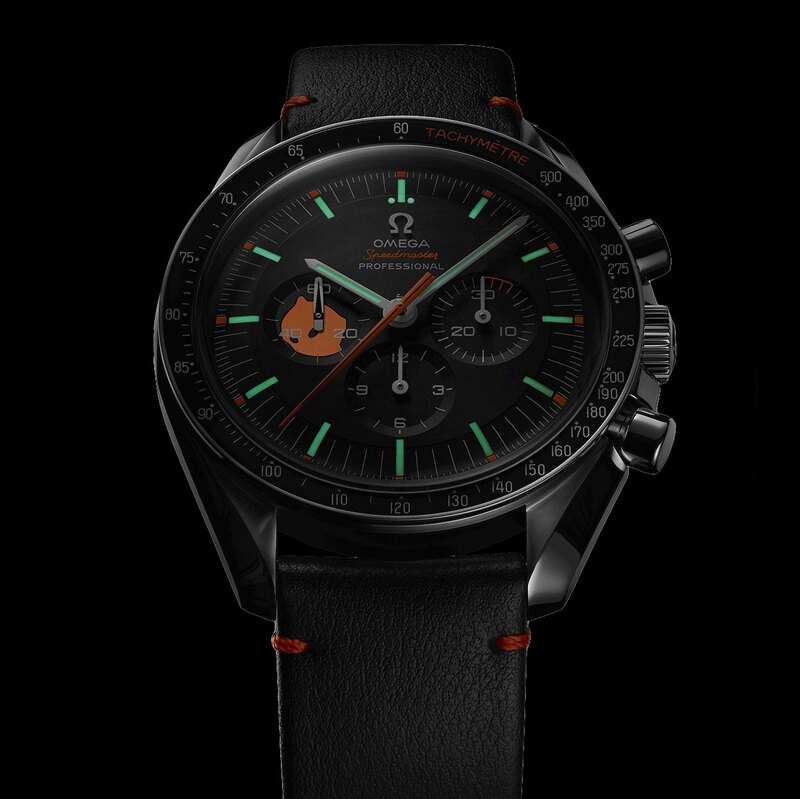 In addition to the central hand, the dial and bezel have added orange accents, including “Speedmaster”, “Tachymetre” as well as the first three minutes of the minute register. The last detail is a reference to Ultraman himself, a human who can transform in a giant alien – for just three minutes. The seconds sub-dial at nine features a silhouette of Ultraman’s head that’s printed in black, tone on tone in other words. 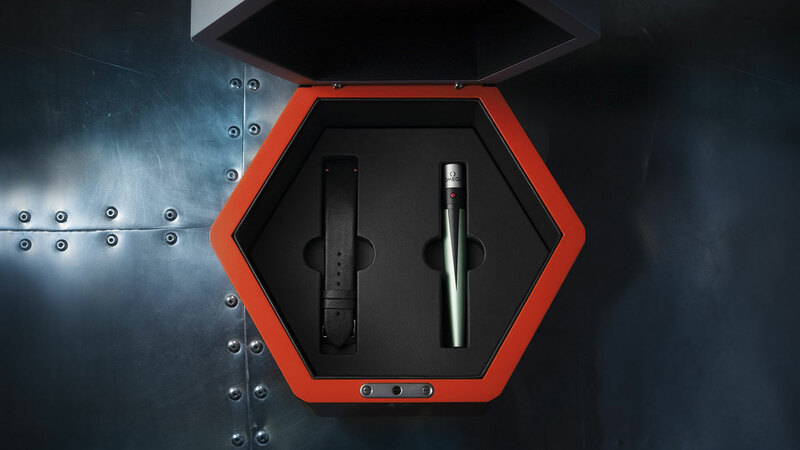 But a UV light illuminates the head in orange, which is why the strap changing tool packaged with the watch integrates a UV torch at one end. 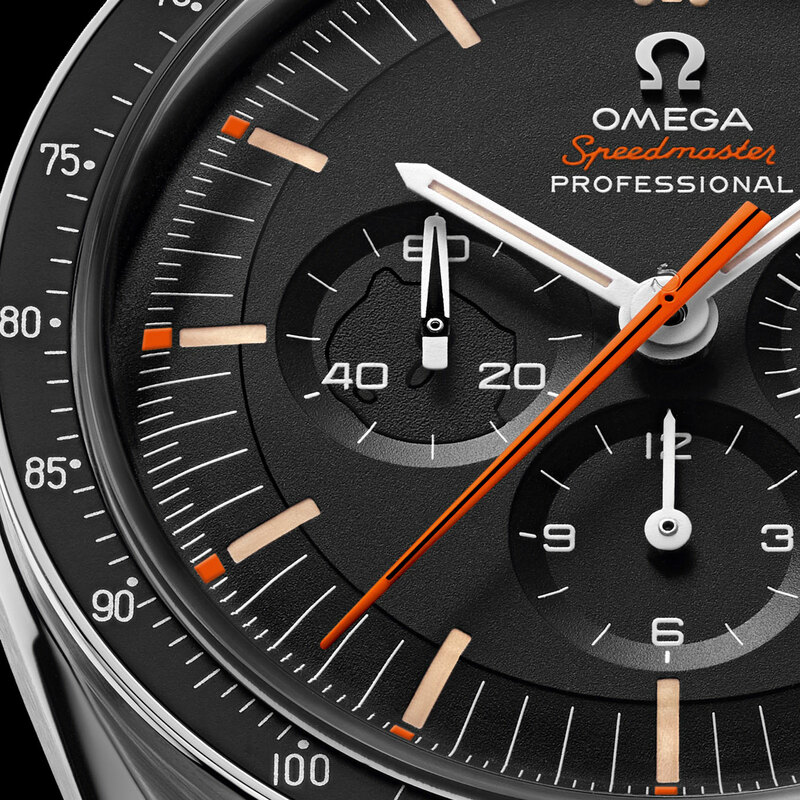 The watch also includes elements taken from the vintage Speedmaster, including the “stepped” dial with an applied Omega logo, as well as the “dot over 90” bezel, which is an aluminium insert, as is tradition. 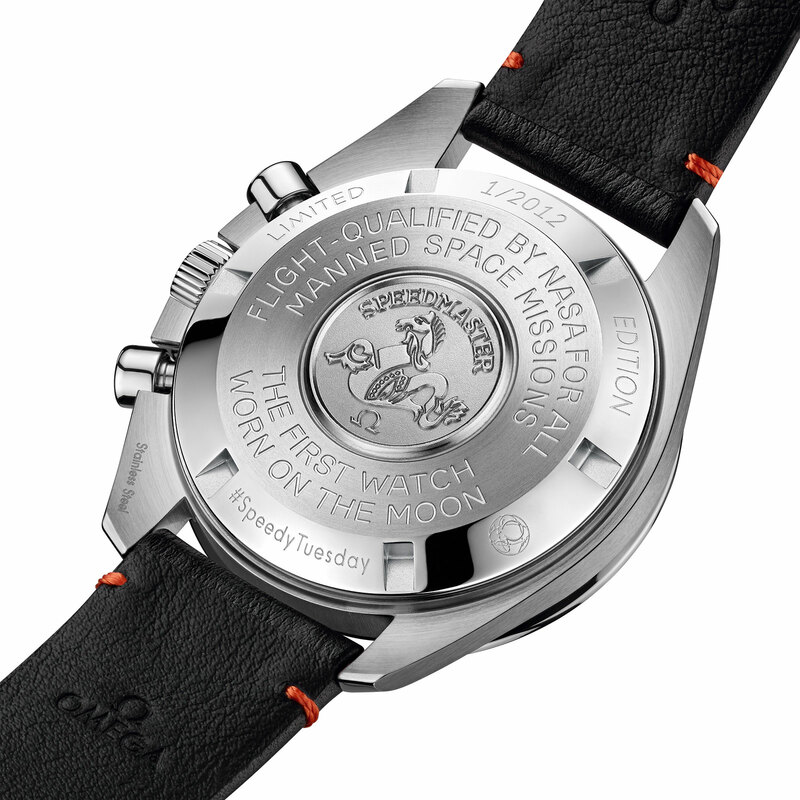 The case back is identical to that of the standard Moonwatch, but with additional engraving around its rim. And underneath is the hand-wound cal. 1861, the Lemania-based calibre that’s standard on all Speedmaster Moonwatches. Like the original Speedy Tuesday, the Ultraman is limited to 2012 watches, a nod to the year the “#SpeedyTuesday” hashtag was conceived by Dutch watch blog Fratello Watches. 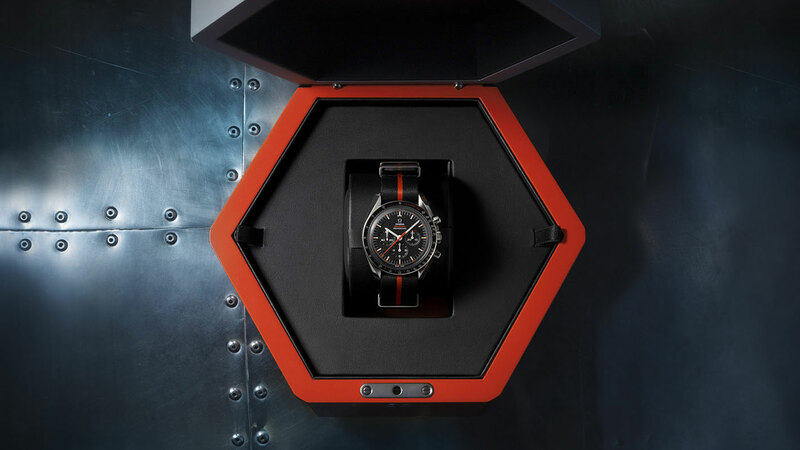 It’s presented in an octagonal box modelled on the table used by the good guys in Ultraman, and in addition to the UV light-tool, is accompanied by two straps, a canvas NATO and a leather band. For photos of the watch in the metal that show lots of detail, visit Fratello Watches. With the almost instant sellout of last year’s Speedy Tuesday, it is almost a given that the 2018 edition would see a hike in price, albeit by a modest US$600. 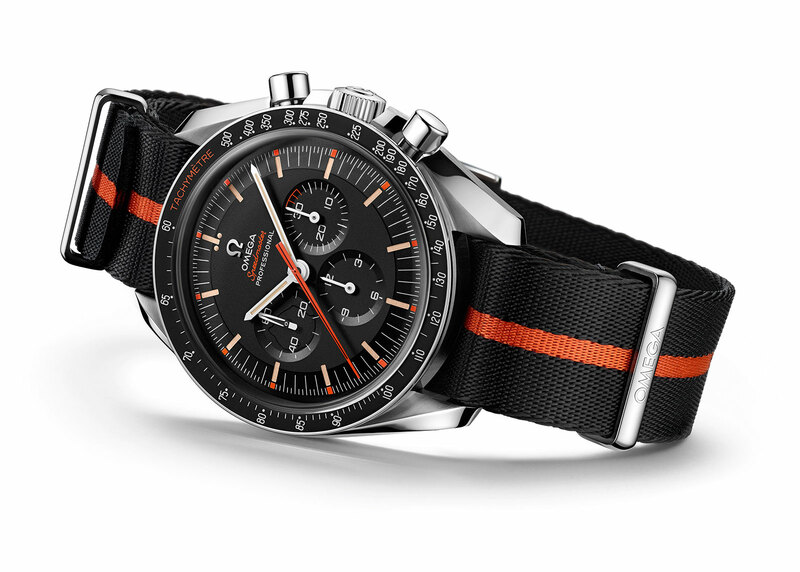 So the Speedmaster “Ultraman” (ref. 311.32.42.30.01.001) is priced at US$7100, or S$9180. 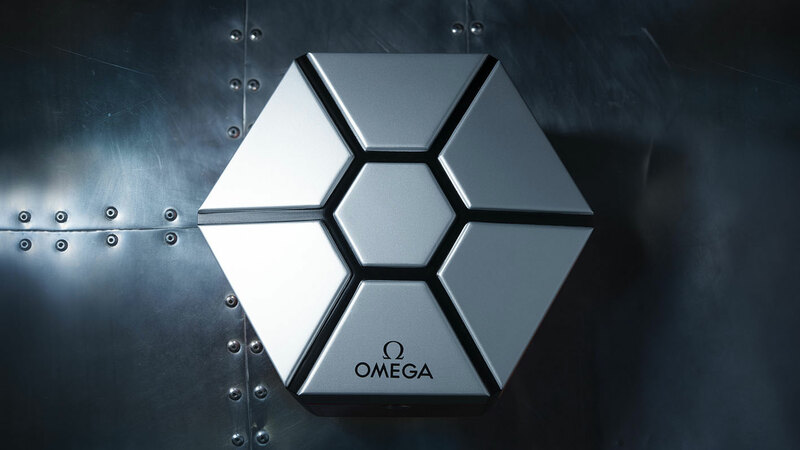 It’s available direct from Omega, exclusively online. Update: As of an hour after its launch, it appears to be sold out, though a waiting list is open. 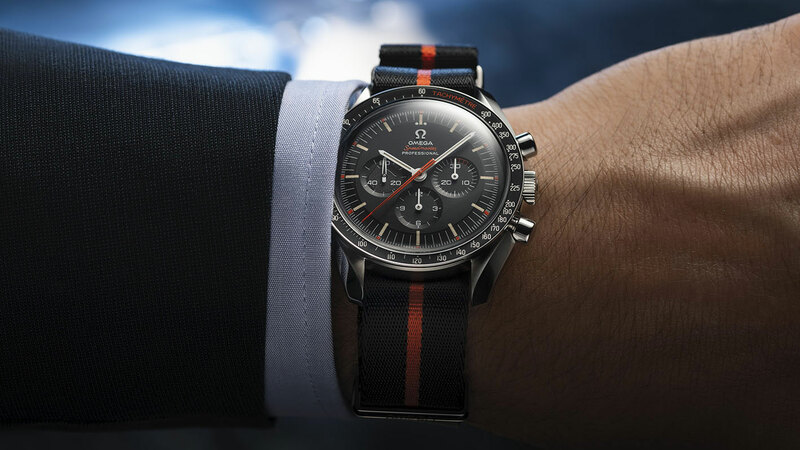 An early pre-Baselworld 2017 announcement from Omega revealing the multi-coloured "Racing" as well as the return of the 38mm Speedmaster "Reduced".